With summertime almost here and with it (hopefully!) the good weather, it is time to think about the parasites that can affect our pets. Lungworm (Angiostrongylus Vasorum) is carried by slugs and snails, which are common garden pests. If your dog swallows slugs/snails, or has or has outdoor water bowls and toys, they can pick up the parasite. 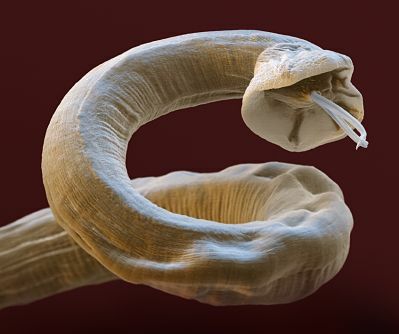 This parasite can make dogs very ill and can also be fatal. The average British garden can have up to 20,000 slugs and snails – so it’s important your pets are protected. Try to avoid leaving water bowls/toys where slugs can reach them. Treatments to prevent lungworm are now readily available, so contact your vet to discuss which treatment is most appropriate for your dog. Whilst young dogs under 2 years old are most at risk, Lungworm can affect dogs of any age. Be vigilant, and if your dog shows signs of developing lungworm, take them to see a vet immediately.